The long-running Need for Speed series races into new territory with this cross-platform, cross-generational release. 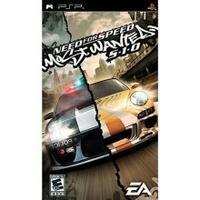 Most Wanted is built upon many of the fan-favorite features and modes from previous games in the series, including a forgiving yet credible physics engine, vehicles of real-life makes and models, and state-of-the-art graphics. As with the previous Need for Speed: Underground, much of the game is styled around the illicit street racing scene, and as in earlier games such as Need for Speed III and Hot Pursuit 2, many of the Most Wanted's challenges involve not only getting from one place to another in the fastest time, but avoiding ambitious law enforcement officers (in souped-up vehicles of their own) all along the way.